I have a few friends who love to make homemade cinnamon rolls for breakfast on Christmas morning. Like my friends, you might also love the idea of cinnamon rolls for breakfast, but like me, you might not love the idea of getting up super early to make them. You might also be planning to eat Christmas cookies all day and would rather not ingest millions of calories for breakfast. Either way, I have your solution, and that solution comes in the form of homemade, reduced fat (but still delicious! 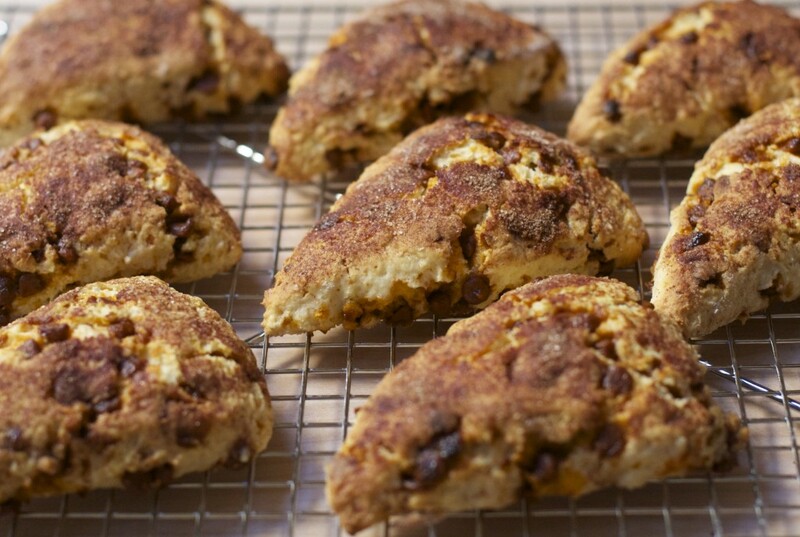 ), cinnamon scones. Ok, so now you might be asking yourself, “How is getting up to make one homemade bread-like product a good substitution for getting up to make the other?” Well, the answer is that these scones are super simple and come together really fast. The dough can also be made the day before (all the way through to putting it on the pan! ), so all you have to do on Christmas morning is pre-heat the oven and pop them in there! So, assuming I’ve won you over, let’s get started! 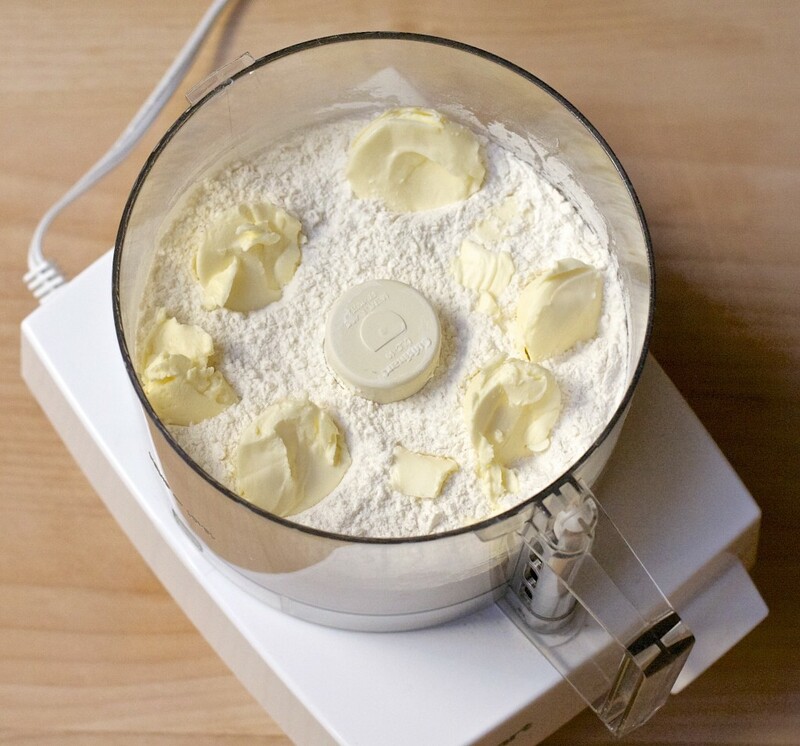 First, preheat your oven to 450˚ (If you’re planning to make the dough the day before, obviously, just preheat the oven when you’re ready to bake). Line a baking sheet with foil and spray it with non-stick spray (for easy cleanup – yay!). Meanwhile, in a separate bowl or measuring cup (preferably with a spout), whisk together the milk, egg, and vanilla so it’s ready to go. Put the bowl or measuring cup in the fridge so it stays nice and cold. 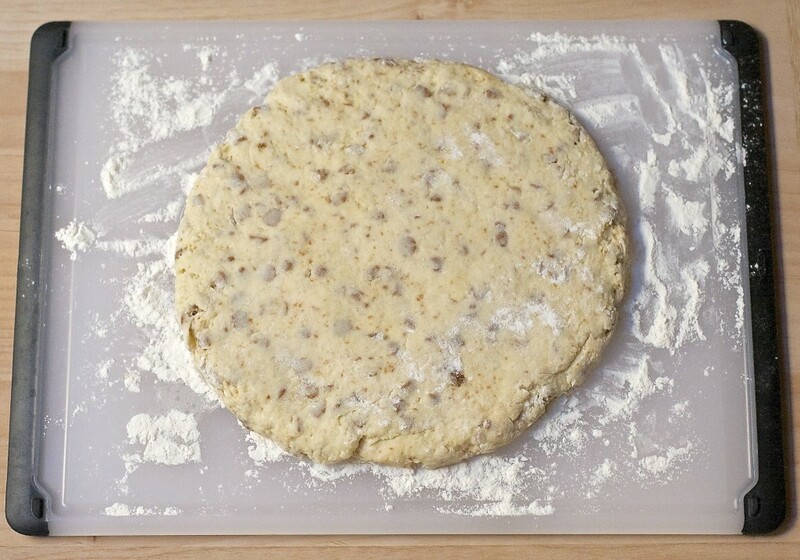 Carefully remove the blade and transfer the dough to a lightly floured board. Also, notice how I used a plastic cutting board that has rubber on the edges so it stays in place while you’re kneading. Those are the best! They can also be put in the dishwasher, which is even better! 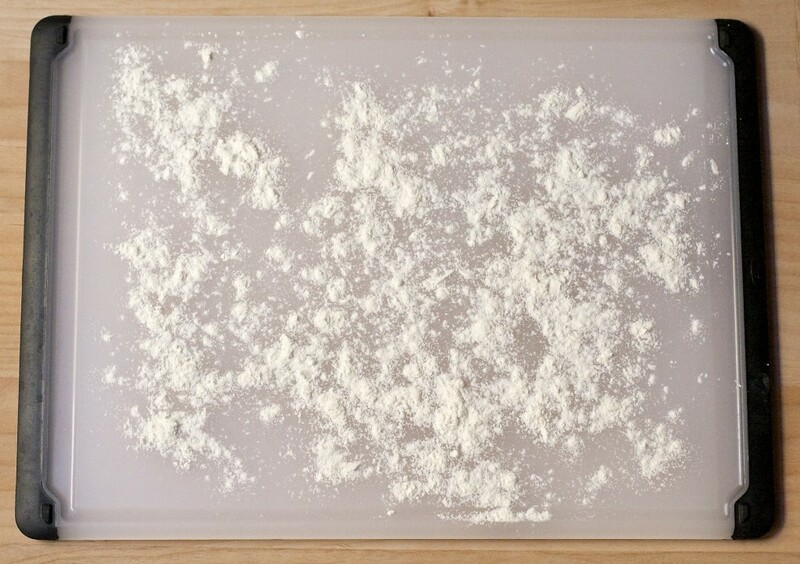 But, if you don’t have one, you can also use a smooth, clean counter top, or a wooden board, silicon mat, or pastry mat. Next, GENTLY knead the dough about 10 times. 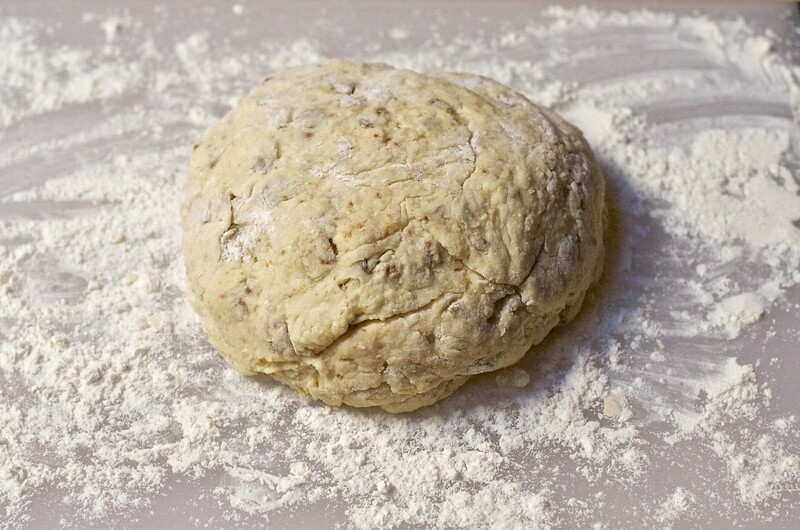 To knead the dough, fold the top part of the dough over the middle and bottom part of the dough and gently press down. 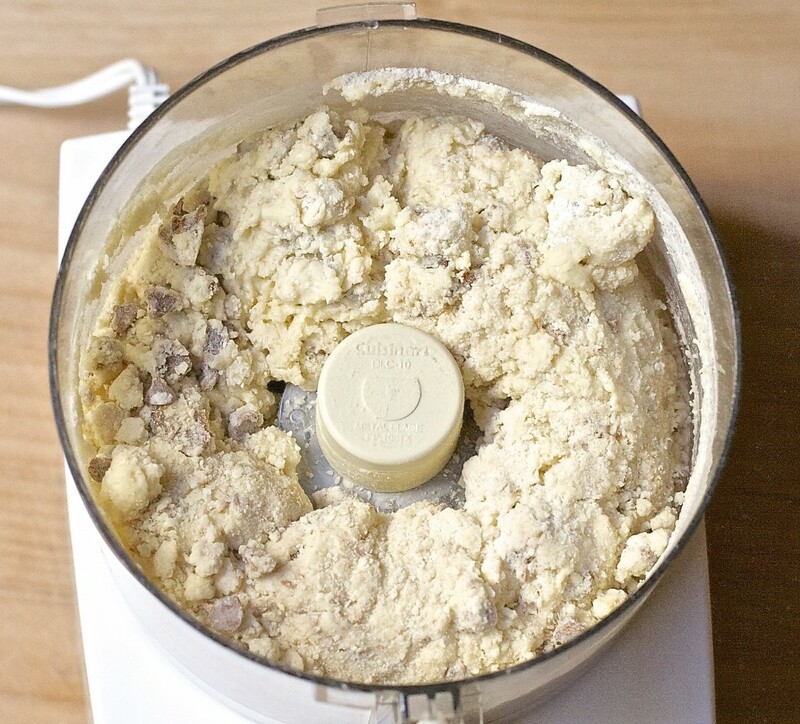 Then, turn all of the dough a 1/4 turn and repeat, turning the top part over the middle and bottom and pressing down. 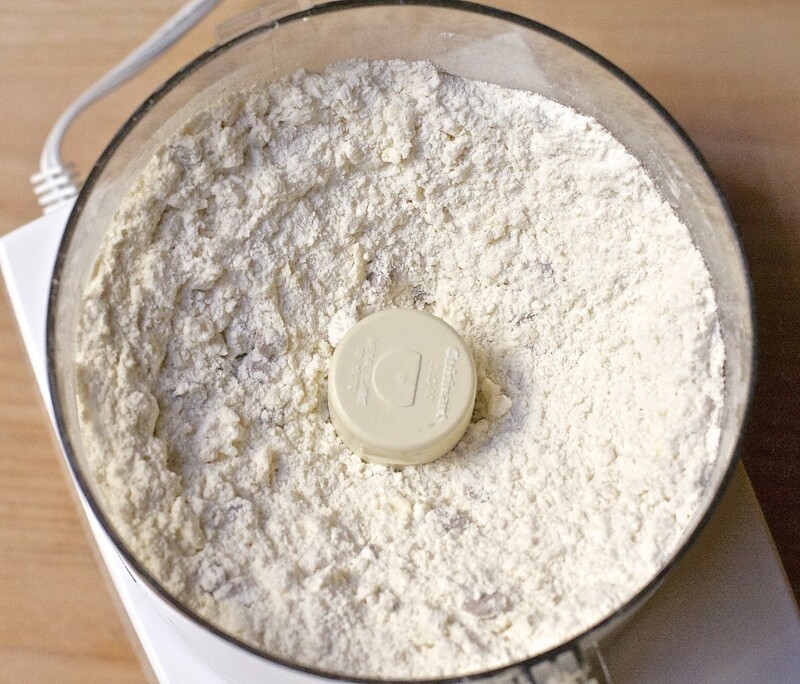 If the dough gets really sticky as you’re kneading, pat the sticky part with a little more flour, but only with just what’s needed to be able to work with it again. Also, the dough should be a bit sticky in general – you just don’t want it to be so sticky that it’s sticking to your hands and you can’t work with it. 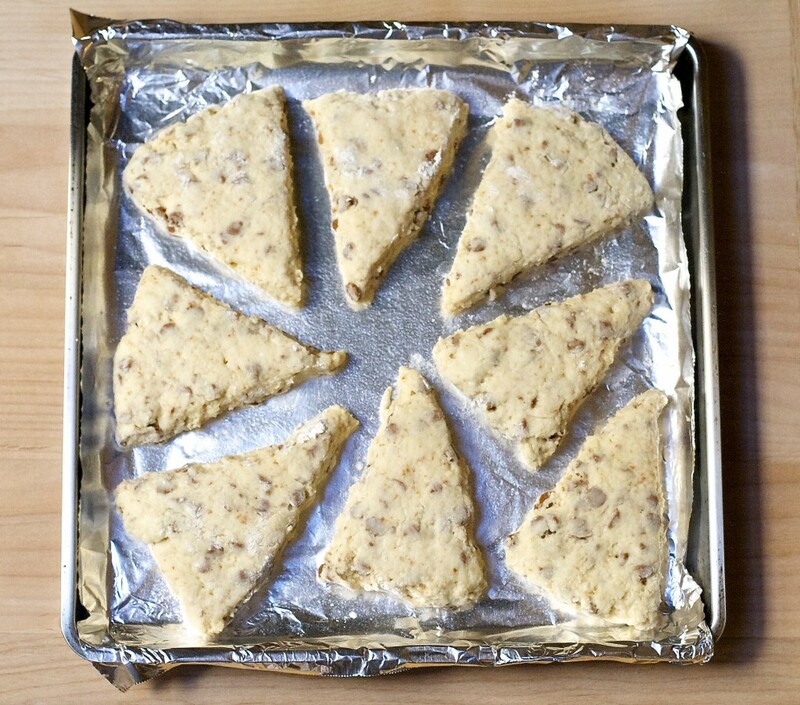 Make 8 scones by cutting the circle in half with a pastry cutter (or sharp knife or pizza cutter), and then cutting each half into quarters to form 8 triangles. 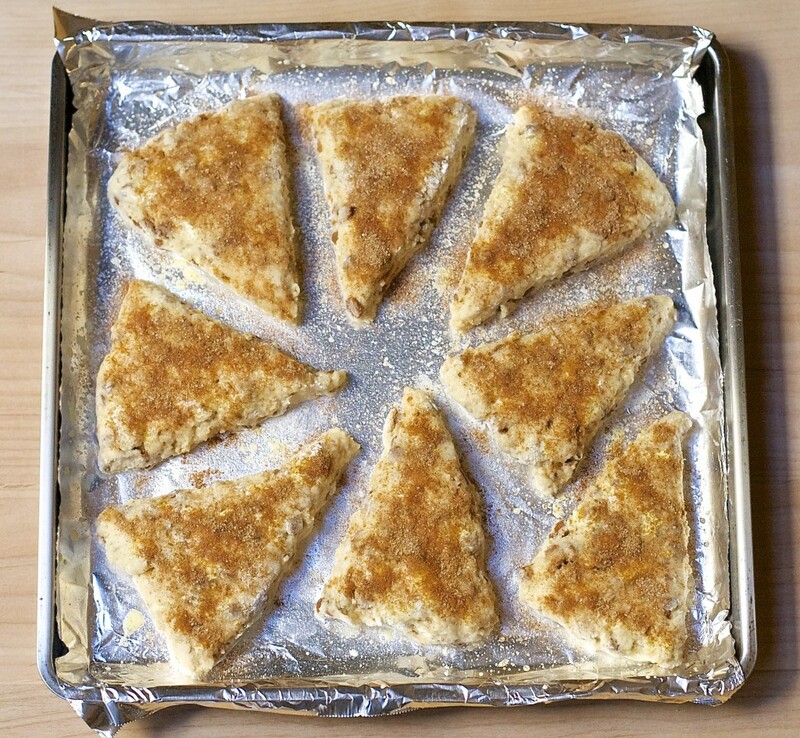 Transfer each triangle to the prepared baking sheet so that they are at least 3/4” apart. 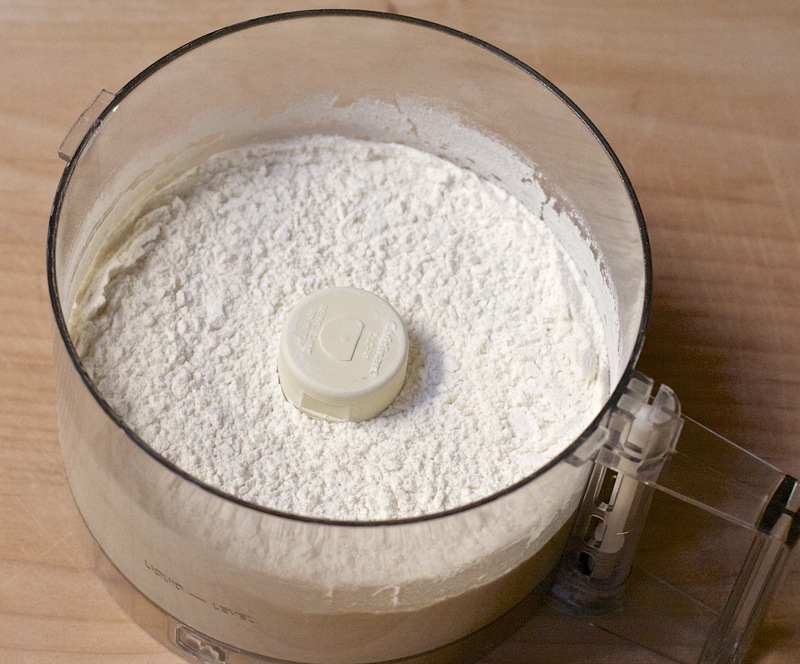 If you’re making the dough in advance, spray the tops with a little Pam (non-stick spray), cover loosely with plastic wrap, and refrigerate it till you’re ready to bake. 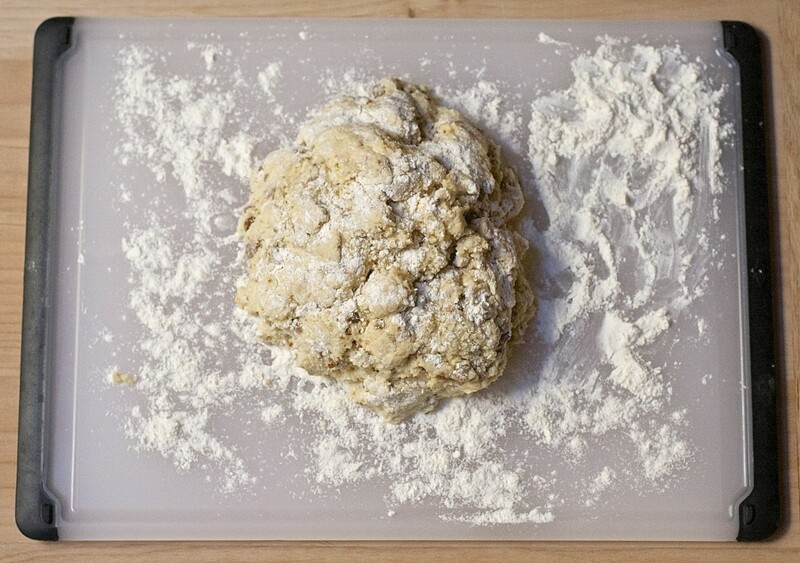 Once you’re ready to bake, remove the plastic wrap and spray the tops of the scones with butter spray or Pam. 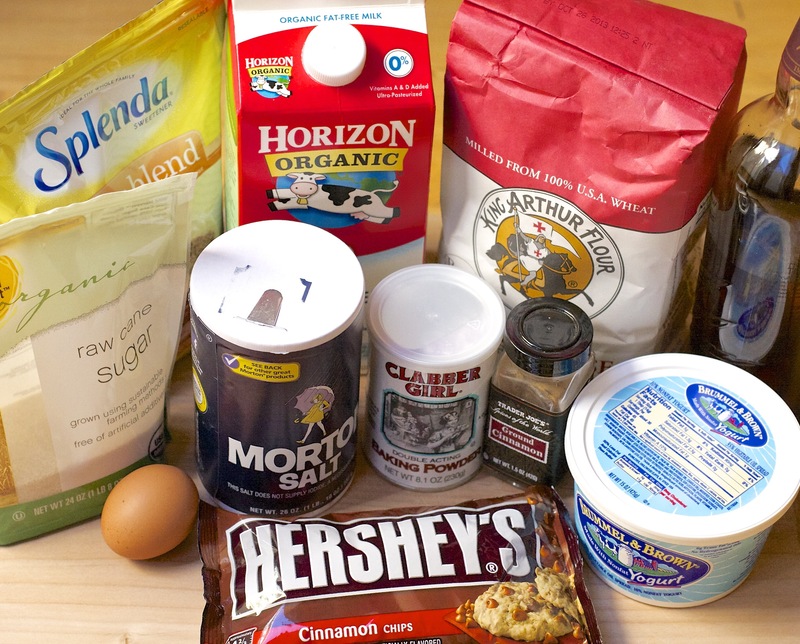 Combine the sugar and cinnamon for the topping. Sprinkle a little of the topping evenly over the top of each scone. Bake for 10 minutes, or till golden brown on the edges, but still just a bit doughy looking in the center (or on top). Allow to set up on the pan for about 2 minutes. Serve immediately, but remove any scones you won’t be eating right away to a rack to cool. By the way, this recipe might seem tricky since you have to knead the dough, but it’s really easy once you get the hang of it. 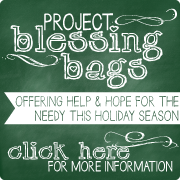 If you’d love to make it for Christmas, but you’re feeling unsure, make it a week or so in advance so you can work out the kinks. Also, feel free to leave a comment with any questions, and I’d be happy to answer them!! What are your Christmas morning breakfast traditions? Or what special ways do you like to celebrate Christmas and the birth of our wonderful Savior?